Alien Androids Assault Arizona - Links for Kids! My favorite book series is American Chillers. My favorite one is #16 Alien Androids Assault Arizona. It is funny and scary and weird. I like it because I like it because I like to read scary books and funny books and weird books put them all together there you go perfect book. I also like it because it is in a series. 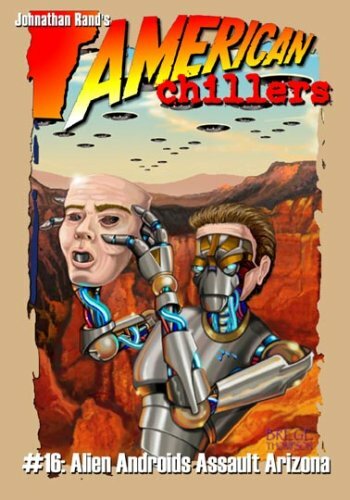 I am a big fan of chiller and thriller books. Jonathan Rand is a very goo author he writes some of the best books. It is also America's #1 series for maximum chills. A lot of people like to read American Chillers. I love American Chillers. They are not too easy they are not too hard for me. American Chiller books are fake but they have real places in the United States.